When the circuit in your home quits working, and you suspect that it is likely a blown fuse, you can test that theory by using a multi-meter for testing fuses. By setting the selector switch to ohms and setting it on a lower range, you can test the resistance between the two points of the fuse. This will measure the resistance of the fuse link, if intact. When working with anything electrical, shut the power off to the device that you'll be working on and check with a tester to make sure it is not live. Fuses come in different styles, cartridge, and screw-in. The Ferrule-type cartridge fuse is generally used for the main feeder and range protection. Normally, range feeds will have 50-amp fuses, and the main fuses are generally 60 amps, being more common in older homes. Plug fuses screw in and come in 15, 20, and 30-amp ratings. These fuses supply the branch circuits in your home to run lights, outlets, and appliances. Learn what each of these fuses is and how to test each of these fuses below. Plug fuses are common fuses used in a home's fuse panel. They come in 15, 20, and 30-amp sizes and are screwed into the electrical panel. They control the amount of amperage to the circuit it connects to. Plug fuses control 120-volt circuits that normally feed lighting and receptacle loads throughout your home. Plug fuses have a metal alloy ribbon inside that carries the current of the circuit. In the case of a short or overload, causing too much current to flow, the ribbon will melt and open the circuit. When this happens, no current can flow, and the circuit is disconnected from the power supply. This protects against short circuits and overloads that may damage electrical wiring and cause house fires. Plug fuses come in a screw-type configuration. They come with a sight glass that shows if the fuse is blown or not. The older type fuses have a brass screw thread on the side and a center contact point. The newer style, Edison-based, have a plastic thread with a spring-type contact and a center contact. The Edison-type base has an advantage over the older style. It only allows the appropriately sized fuse to be installed, unlike the old style that you could install a 30-amp fuse in a 15-amp socket. Cartridge fuses come in a cylindrical shape and have contacts points at each end. They have a fuse link connected to the two ends and are rated for 240-volt circuits and protect the circuit from over-current. The Ferrule-type fuses are rated up to and including 60 amps. It's big brother, the knife-blade cartridge fuse, is similarly shaped with blades on each end. The difference is that they protect circuits above 60 amps up to 600 amps. All of these fuses can be installed and removed by using a special tool, a fuse puller. It mimics the shape of the fuse and snaps over the fuse for easy removal. It is usually made out of plastic. Cartridge fuses are cylindrical and have the contact points at either end. These fuses are used in fuse panels and disconnects for amperages over 30 amps. Testing Plug Fuses: Plug fuses can come in three types: standard, tamper-proof, and time-delay. The tamper-proof style is better known as Edison-based fuses that have special adapters that screw into the existing fuse holder. It has smaller, plastic threaded sides that have different depths for each sized fuse. This means that you cannot use a 30-amp fuse in a 15-amp base. The standard plug fuses could be interchanged at will. This exposed the home's wiring to over-sized protection for the undersized wiring. Testing Cartridge Fuses: Cartridge type fuses come in different styles also. The ferrule-type fuse is a cylinder-looking fuse that has amperage ratings up to and including 60 amps. Knife-blade cartridge fuses can handle loads from 60 up to 600 amps. These fuses can easily be installed and replaced using a fuse puller. You've heard the term blown fuses, but what is this exactly? First, you need to know what fuses are and just exactly what they are designed to do. 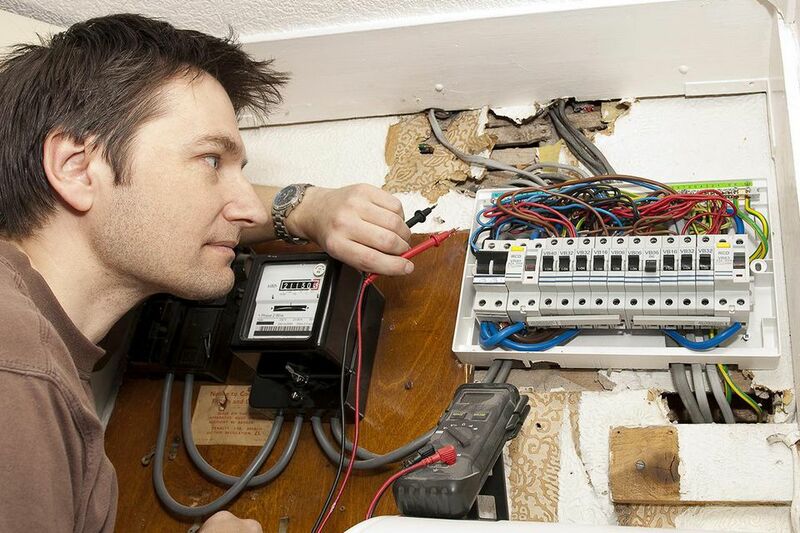 Your home's electrical wiring must be protected from short circuits and circuit overloads. A fuse incorporates a fuse link that has a specific amperage rating, usually 15, 20, or 30 amps. Without a fuse or circuit breaker with this specific rating, there would be nothing to protect the wiring, devices, or the operator running things like power tools. Just as the wiring is sized specifically for the load it can handle without breaking down and heating up, so works the fuse. This type of protection is in place to keep your home from having an electrical fire. How Do Fuses and Fuse Boxes Work? How Do I Install Hardwired Smoke Detectors? Does My House Use Cartridge Fuses? How Do you Connect Romex Electrical Cable to a Metal Box?